Bote co-founder and CEO Raafat Hantoush. Every two minutes, a child goes missing in Europe. That’s according to a study by the Missing Children Europe Foundation. Other countries suffer from the same problem, including the US, where roughly 800,000 children are reported missing annually. That's about 2,000 per day. While these numbers seem distressing, they represent a possible opportunity to Bote, a startup that is determined to put an end to this dilemma. Bote is a tracking device that helps parents track their children and keep them safe through smart insoles (footbeds) inserted in the child’s shoes. Hantoush and Salomon have so far self-funded all of their work, which began in mid November 2017, when Hantoush got his idea. He had been working as a senior data scientist at a prestigious company in Munich at the time when his "aha" moment came. “I had been meaning to start an IoT [Internet of Things] project for some time, because I’m an entrepreneur by nature and I love IoT, but I was searching for the right product,” he says. The idea of Bote took form when Hantoush was inspired by a painful memory of getting lost in the marketplace when he was a kid in Syria. “It took them an hour to find me, and I want to turn this memory into something good,” he emphasizes. He quit his job and began working immediately with Salomon, who was working at the same company at that time. They have since invested a five-figure number in their startup, but Hantoush assures the sum is less than US$50,000. “We are looking for funding right now,” Hantoush explains. “We’ve received a lot of positive feedback from companies who offered partnerships, including Telefonica, and we are considering them, but our main concern is to build the electronics chip that is best suited for our user case.” A partnership with hardware design company Fraunhofer will soon follow and Hantoush is optimistic about the outcome, especially because he finally managed to successfully register the company in Berlin and file for a patent. A bold and self-assured entrepreneur through experience, Hantoush doesn’t lack PR. He has a verbal agreement with one of the largest companies in Germany that provides location-based services to malls and similar places. 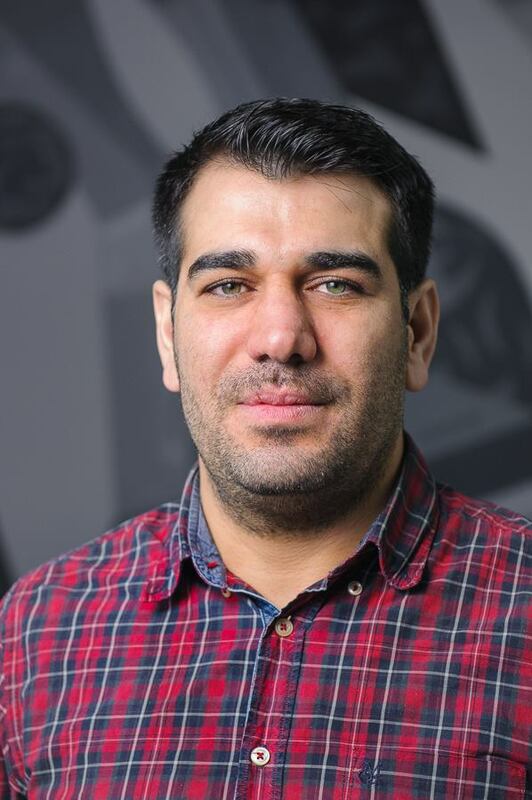 “I did my Master’s thesis in this company and I improved the accuracy of their system, so they know me well and they know my work,” Hantoush explains.He adds that Bote was also in talks with local kindergartens who liked the idea of its product. Bote may be Hantoush’s first venture in Germany, but back home, he was a successful and well established entrepreneur. After joining the first electronic stock exchange in Syria, he decided to build Agora in 2011. Agora was a company for building systems for stock exchange companies, brokerage firms, telecommunication companies (including Syriatel) and some of the largest banks in Syria. 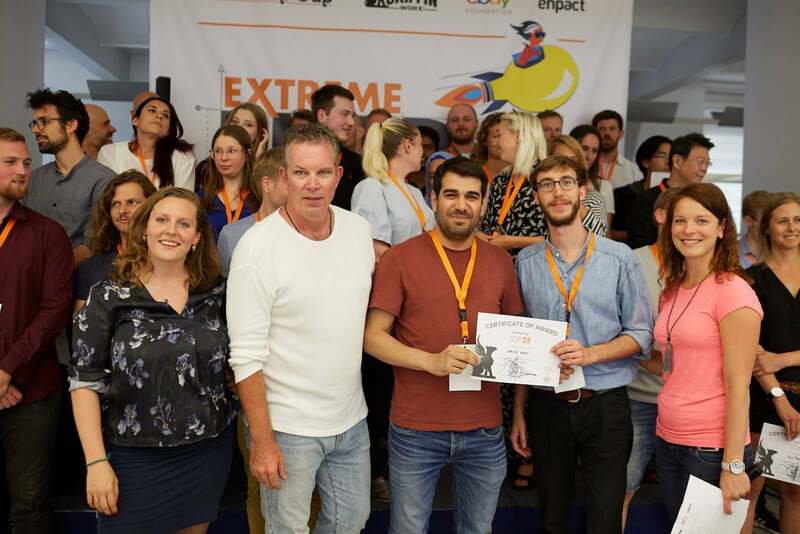 It won several prizes, including the Fikra incubator prize twice.